Just rec. a call from the cancer doctor–GOOD NEWS!!! The cancer is responding to the chemo, ALL the tumors have shrunk by at least 50%. We will resume chemo treatments on the 30th of this month. THANK YOU, LORD!! I want to say that God is good, however, I don’t want to give the wrong impression. God is good no matter what the scan result would have been. I am thankful for His healing but His healing in no way determines how good He is. Thanks to each and every one of you that have said a prayer for us. Please continue to pray. To borrow a phrase from one of my daughters, Pray for miraculous results!! Thank you! Hello everyone! �Today was our annual church picnic and baptizing. �This young man accepted the Lord as his Savior and was baptized today. �It was getting ready to rain. 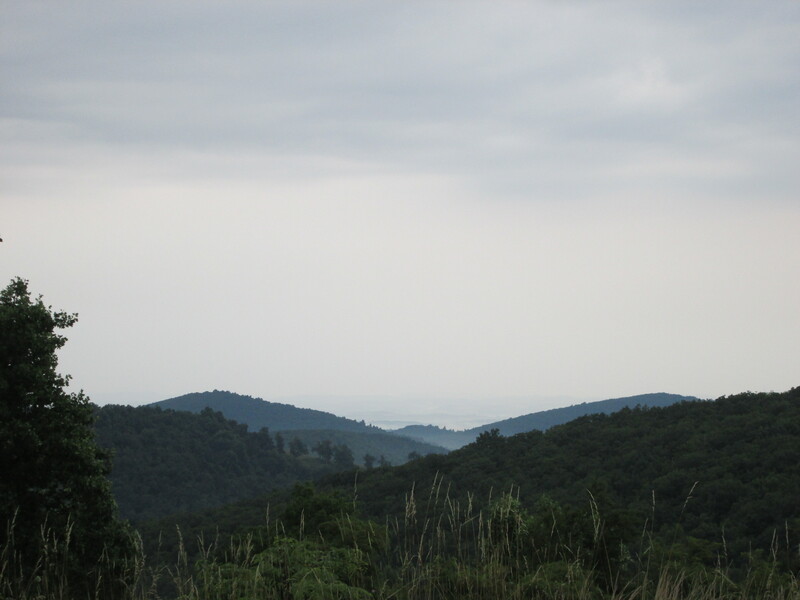 �If you look closely, you can see a few raindrops hitting the pond. �The rain was much needed. Here is a picture of one of our little areas in the yard. �You can see the park bench and Mr. �Rooster. 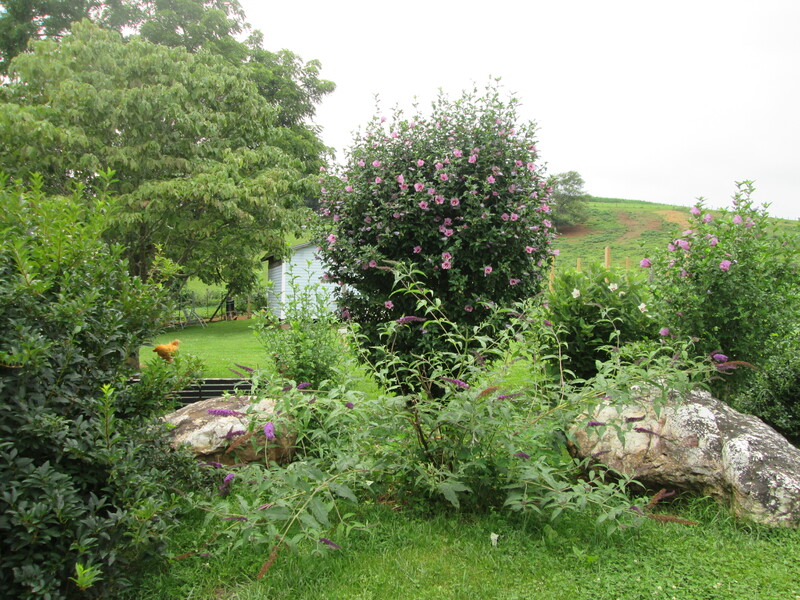 �Our butterfly bush had a hard time this winter with all the cold and snow. �We thought it might not have survived but a few blooms made it. �The hummingbirds love the Rose of Sharon bush. �I spotted these two big rocks over the hill several years ago and got Marvin to bring them to the yard with the tractor. �He said that was a first for him. �Usually people want rocks taken out of their yard not brought in. �Now if you look way back past Mr. Rooster you will see my surprise!! Another swing!!! �The girls and I found the frame to this swing years ago at the dumpster. �Here in Floyd, people set things out at the dumpster for other people to use. �I have even seen appliances sitting out with a note on them telling people what is wrong with them. �Anyway, the frame was pink and didn’t have a swing with it-just the frame. 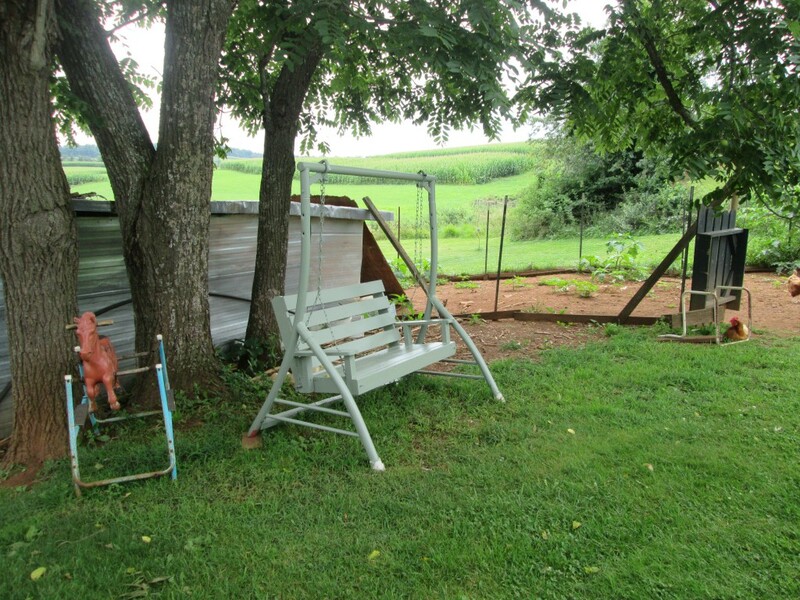 �The first year we lived in Floyd, Hubby made me the swing you see on the frame. �It hung on our back porch for years until just recently when we boxed in the porch. �No porch-no swing. �I told him when he took it down I wanted him to think of somewhere to put it. �It stayed in the building for a couple of years. �The other day the girls and I were gone for a little while. �When we got home, he had put the swing on the pink frame and painted them both. �I LOVE IT! �He sure knows how to get to my heart!!! Now a few garden pictures. �We were working on putting this fence up around the garden when we found out all about Hubby being sick. �A friend came the following week, put up the remainder of the posts, helped us run the wire and tillered the garden for us. �God is so good. Well, that’s about it for now. �I hope you all have a great Sunday and God bless. Hello everyone! �I hope you are all having a great day. �We have been busy with canning. �We canned some more green beans yesterday and did some pickles today. Our temperatures this week have been warmer than they were last week. �I forgot to tell you all that we had a cool spell here last week. �SO NICE! �Great sleeping weather. Not much else going on here. �I just wanted to get some practice in on putting pictures on. �I still have trouble remembering how to do it as it is different from my old blog. �Luckily for me, I have two daughters who can help me with it. �Thanks, girls. Look at these strange looking cuc’s!! �I am not certain what they are but they sure look strange. �I haven’t tried any of them yet so I can’t tell you all if we like them or not. 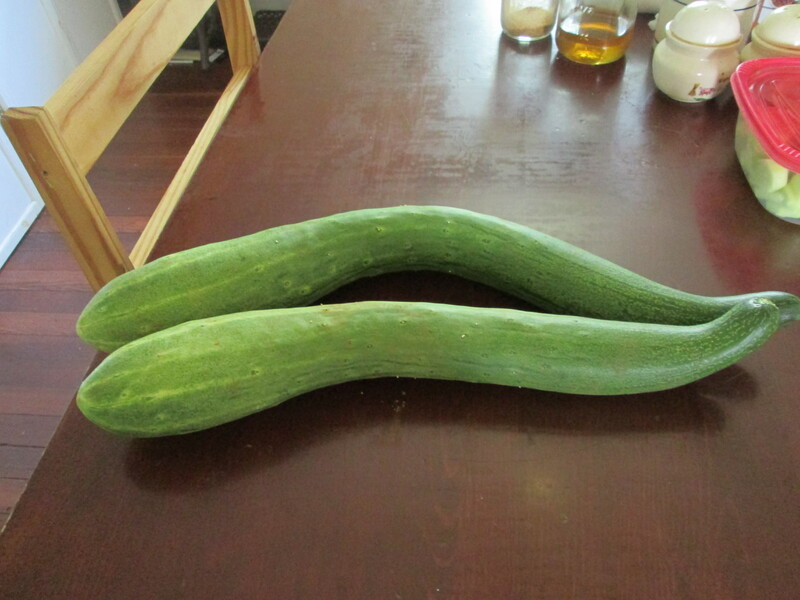 �Tomorrow I hope to make bread & butter pickles with them. This week has been busy. �George had his appointment on Thursday for bloodwork. �Everything looked good except he does have another urinary tract infection. �She started him on antibiotics. �He is scheduled to begin his 2nd round of chemo on Tuesday July 15th. �We are praying this round goes as well as the first round did. He is gone this evening with some of the men from church. �They have went down to the shooting range to shoot some clays. �Even though he can’t shoot right now they still call him to go with them. �He so enjoys the fellowship. Well, that’s about it. �Time to get some supper ready. �I hope you all have a great Friday and God bless. Hello everyone! �I hope your week has been good. �Things here are moving along. �George had his surgery on Wednesday to install his porta cath. �It went very well. �We hope this will make it much easier for his iv. �They have such a hard time getting into his veins. �We also found out on Wednesday that Grace has Lyme Disease. �They have started her on a 20 day antibiotic. �Lyme Disease is very bad here in Floyd. On a lighter note, our garden is doing very well. �We canned 14 pts of pickles yesterday and hope to can more by Tuesday. 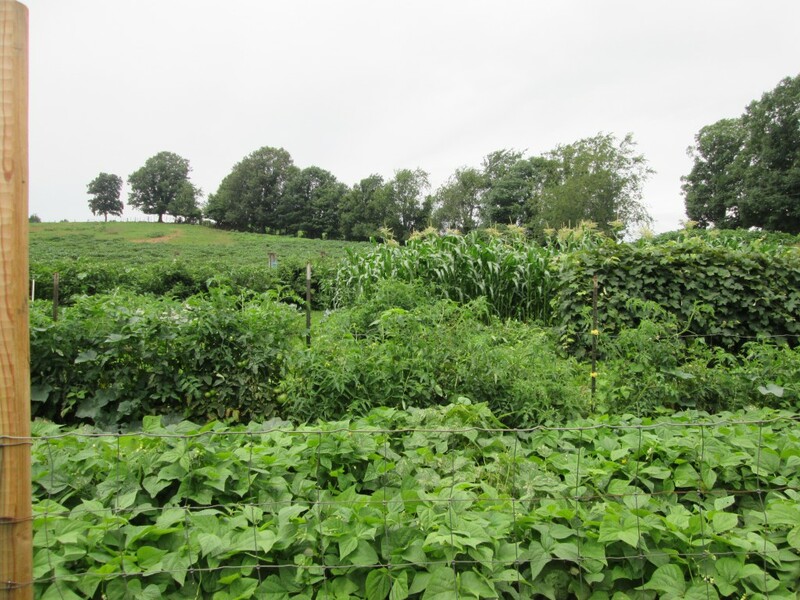 �We also had our first mess of peas this week and our squash and zucchini are coming in as well. �I love fresh food from the garden. The above picture was taken last week. 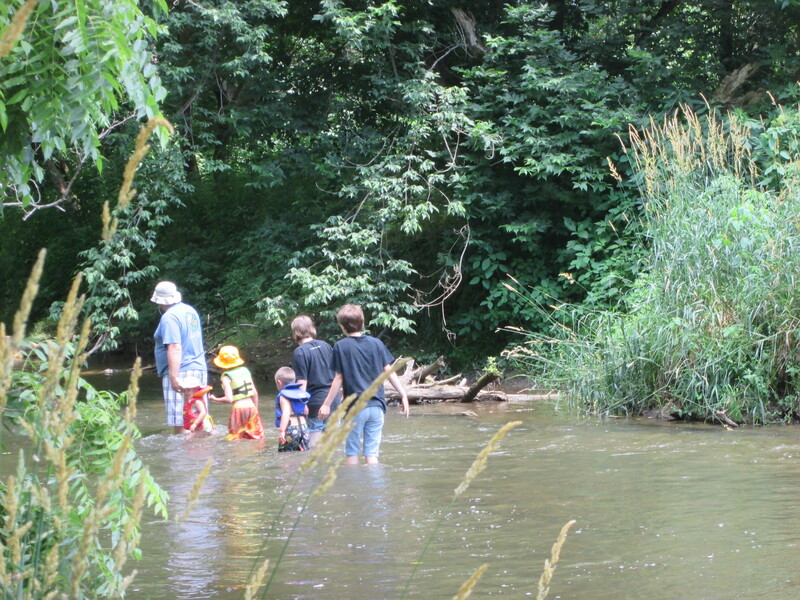 �The kids had so much fun playing at the river. �Nothing says summer more than cool water on a hot day. Hello everyone! �I am starting a new blog as my old blog kept having troubles and I couldn’t get a post to make. �I wanted to share this picture with you all. �You all know almost everyone in the picture except two. �The lady standing next to George is his sister and the lady with the walker is his mother. �We had a big celebration for Sam and Julie’s birthday the first of June. �This was the first time George’s mother had ever been to our home. �She really seemed to enjoy the day. �We had lots of company. �It was kinda a triple celebration. �Sam turned 4, Julie turned 16 and George was home after his surgery. �I know most of you do not know all that has been going on here so I will update you now. �Around the first of June, George had to be admitted to the hospital. �The tumor had completed obstructed his bowels. �They did surgery, completely bypassed the tumor with a colostomy. �It was a very hard week for us all. �Jess came and stayed with us at the hospital. 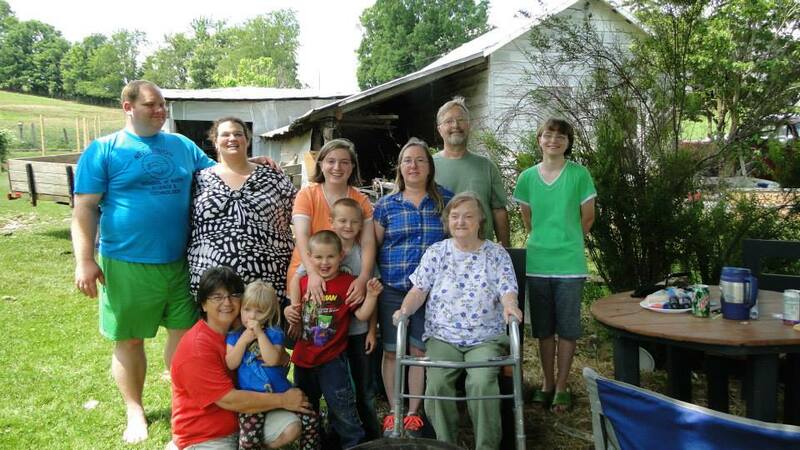 �Our girls stayed with Pastor Shannon’s family. �The doctor told us later she really did not think George would pull through it but by the mercy of the Good Lord he is still here and seems to be doing very well considering all he has been through. �He started iv chemo last week and takes it once every 3 weeks. �He takes 6 chemo pills every day-3 in the morning and 3 in the evening. �He is in excellent spirits and has surprised us all how well he is doing. �God is good all the time!!! That is all for now. �Time to get something to eat for supper. �Enjoy your day and God bless.